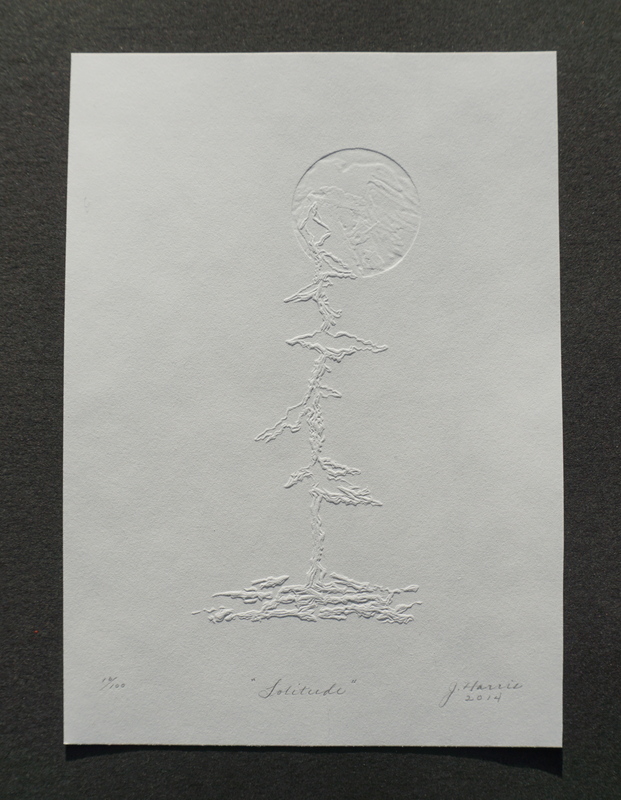 An embossed print edition on fine paper. 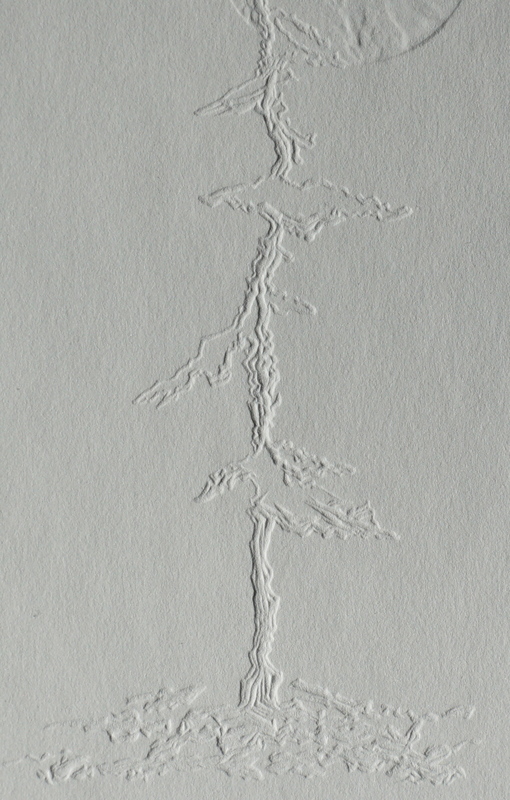 The type of mark making on this print is more generally known as embossing, a process of printmaking that creates raised and depressed patterns onto – in this case – paper. For this particular print, I carved a hand drawn image into a linoleum plate, then ran it through my etching press with a dampened, fine rag paper (100% cotton, acid-free, chlorine-free). This process of printmaking is also less generally known as inkless printing. Inkless printing is a method of printmaking that I use to explore the values of light and shadow in an image on a page. Instead of inking the prepared plate to reveal an intended image, I carve the image in such a way that, once impressed onto the page, it will appear in a 3D effect via shadow and light. 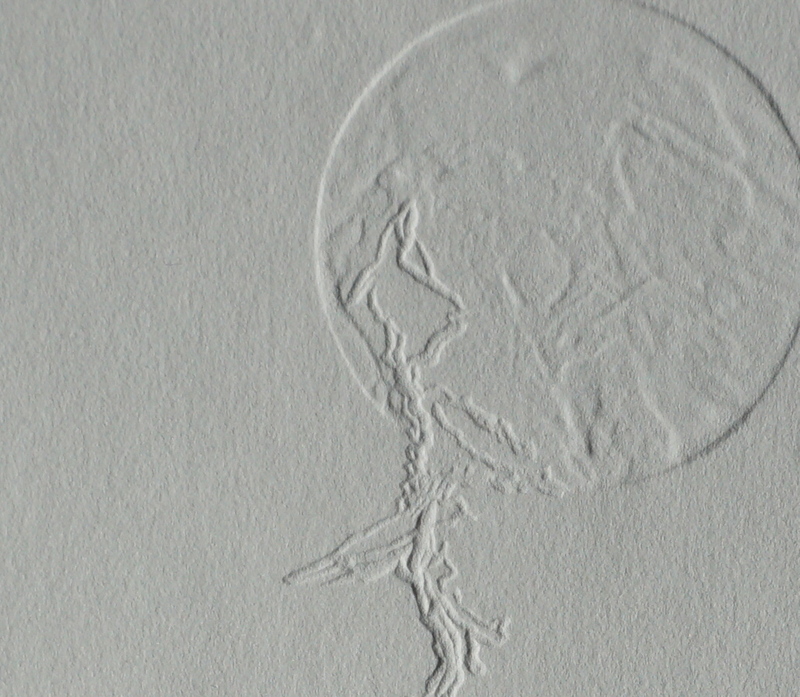 In essence, when light hits the print at certain angles shadows occur amongst the rises and depressions within the embossed image; the shadow acts as the ink on the page, thereby causing the image to reveal itself. “Solitude” is available for purchase. Shipping is via Canada Post by standard mail. Please select applicable region for shipping. International buyers are responsible for any customs or duties charges imposed by their country.